In this constantly updated guide, we will talk about the best smartphones without notches on the market. Since it was introduced by Apple on the iPhone X, the notch has certainly been a trend among manufacturers, even if there are smartphones that do not have a notch, which interrupts the display in the upper part and that many do not like aesthetically. The main problem of having a full-screen smartphone is where to put the front sensors and the front camera, and the simplest and most immediate solution is the introduction of the notch. Some producers, however, wanted to differentiate themselves from this trend and have studied increasingly innovative solutions to eliminate the notch, marketing very beautiful products, albeit with some compromises. Let’s see the best smartphones without notch currently on the market, also seeing the various methods adopted by companies to eliminate the notch, but still having the need to have the front camera and sensors. In this ranking of smartphones without a notch, you cannot miss Xiaomi Mi MIX 3, which eliminates the notch thanks to the mechanical slider. In fact, inside this Xiaomi we find the Snapdragon 845 with 6 GB of RAM and 64 or 128 GB of internal memory, even if there are various versions that can reach up to 10 GB of RAM. The front surface is almost completely occupied by the 6.39 inch Super AMOLED display with Full HD + resolution and aspect ratio 19: 9 which is a candidate to be among the best in its price range. The notch is not present, and the camera is not placed in the lower chin as it was for the other MIX, but rather the two front cameras, the main 24 megapixels camera and the secondary 2 megapixels for the bokeh effect, are placed on the slider and are revealed by sliding the display down with a strong and solid magnetic movement. At the rear, there are two cameras, both 12 megapixel, a standard, and a 2x zoom. Connectivity is complete as there is dual band WiFi, Bluetooth 5.0 and USB Type-C 2.0. The battery is 3200 mAh. You can also buy this Xiaomi Mi MIX 3 on Gearbest. 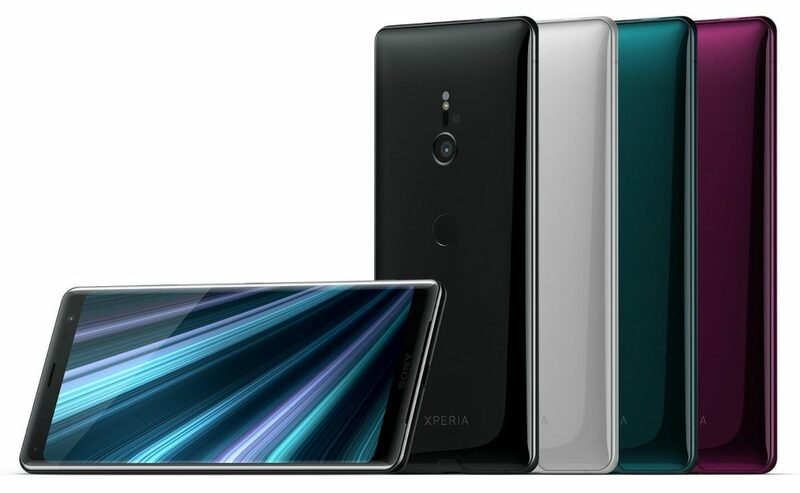 The Sony Xperia XZ3 is a very interesting smartphone and features one of the most beautiful displays on the market. In fact, the 6 inch Bravia OLED panel with QHD + and notch resolution are among the best you can have on a smartphone. The design is not particularly innovative, but still very current and beautiful to look at. As specifications, this Xperia XZ3 is second to none, since it mounts inside the Snapdragon 845 with 4 GB of RAM and 64 GB of expandable internal memory. 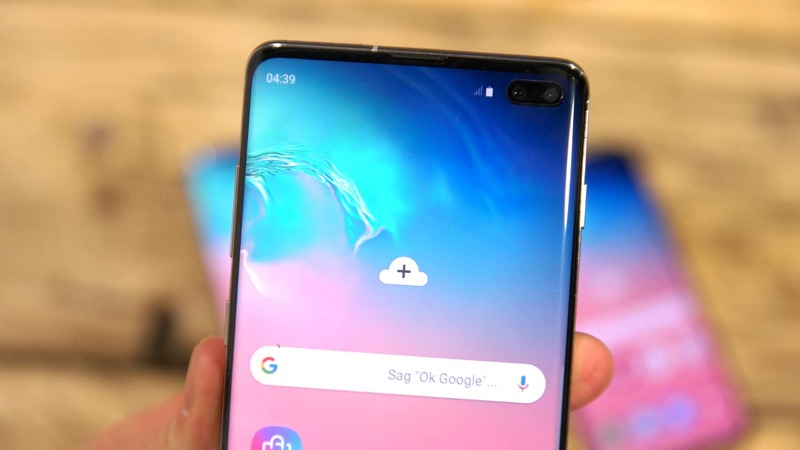 The Galaxy S10 and Galaxy S10 Plus are two very similar devices, in fact it is right to put them together in this guide, since there are very few differences between the two, which are limited to the battery and the front hole, which on S10 Plus is double because it hosts a double front chamber. 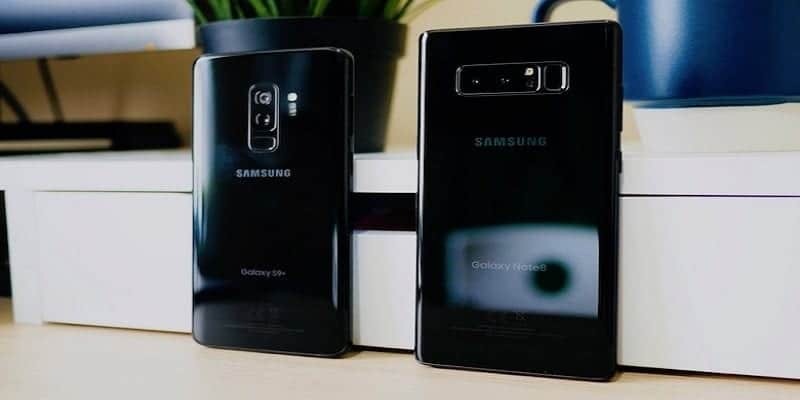 On S10 there is only a 10-megapixel front camera, while on the S10 Plus the 10-megapixel main camera is flanked by an 8-megapixel wide-angle camera. Both smartphones have Infinit-O Dynamic AMOLED displays, which enhance the contrast, definition and even the quality of the HDR. The diagonal of the S10 display is 6.1 inches, while for S10 Plus it is 6.4 inches. Inside the two smartphones, we find the same hardware, with the Exynos 9820, 8 nanomentri processor, flanked by 8 GB of RAM and 128 GB of internal memory expandable via MicroSD. Even the rear photographic compartment is the same, in fact, on both smartphones, there is a triple camera. The main sensor is 12 megapixel with f / 1.5-2.4 variable aperture, the second sensor is 120-degree wide-angle 16-megapixel, finally, there is a latest 12-megapixel 2x zoom sensor. The connectivity department is the same on both devices, in fact, there is the 3.5 mm audio jack, Bluetooth 5.0, dual band WiFiand of course the fingerprint sensor which is ultrasonic located under the display. The S10 battery is 3400 mAh, while S10 Plus is equipped with a 4100 mAh battery. Also this year Samsung has updated its most iconic series, namely that of the Notes . 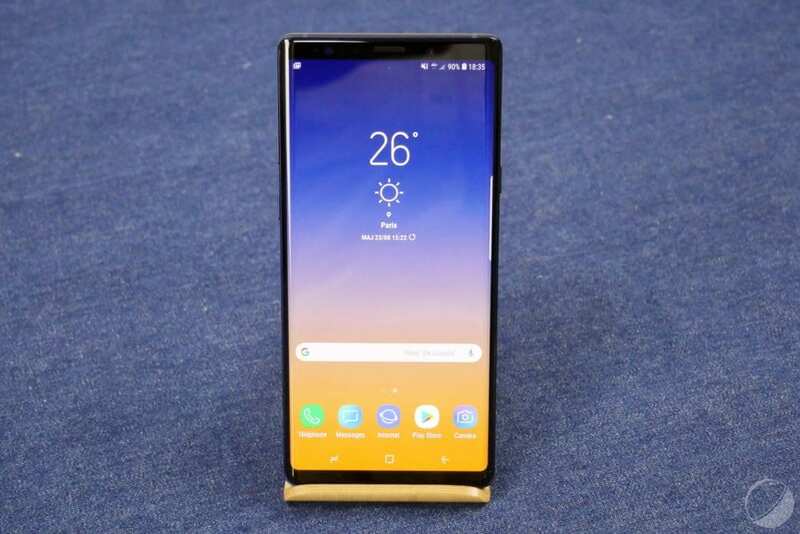 The new Galaxy Note 9 brings only refinements compared to its predecessor, but such to elect it perhaps as the best Android smartphone currently on the market. The improvements start from the battery, increased up to 4000 mAh, and from the S Pen, which is now Bluetooth, it can be used to control the smartphone at a distance. The display is enlarged up to 6.3 inches and is always a Super AMOLED with QHD + resolution and 18.5: 9 aspect ratio. The camera takes the same hardware as the S9 +, so it’s double and takes great photos. 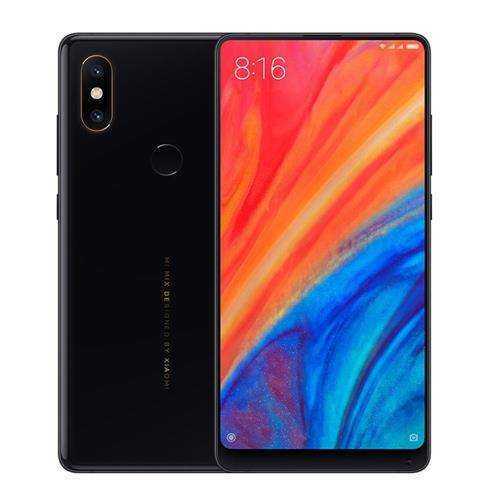 The Xiaomi Mi MIX 2S remains a smartphone to be taken into consideration if you don’t like the notch, in fact this device, as is traditional for the MIX family, has the front completely occupied by the 5.99 inch IPS LCD display with Full HD + resolution, with only the thicker lower edge that houses the 5-megapixel front camera. The data sheet is top of the range, with the Snapdragon 845 as a processor accompanied by 6 GB of RAM and 64 or 128 GBof internal non-expandable memory. The rear photographic compartment is composed of a double 12 megapixel sensor, the main with f / 1.8 aperture, while the second with f / 2.4 aperture and 2x optical zoom. The connectivity department is complete, with dual band WiFi, Bluetooth 5.0 and USB Type-C 2.0. The battery is 3400 mAh with fast charge support. When it comes to Samsung, it’s always on the safe side and these Galaxy S9 are no different, being still among the best smartphones around. Between the two smartphones, there are few differences, one is the size of the display, which on S9 is 5.8 inches, while on S9 + it is 6.2 inches, both are QHD + with Super AMOLED technology. The processor inside them is the same, that is the Exynos 9810, accompanied by 4 GB of RAM on S9 and 6 GB of RAM on S9 +. Internal storage varies from 64 GB to 256 GB depending on the version, all expandable via micro SD. Another difference between the two models is the camera, in fact, on S9 there is a single 12-megapixel camera with variable aperture (f / 1.5 of / 2.4), while on S9 + there is also another 12-megapixel camera for 2x zoom. 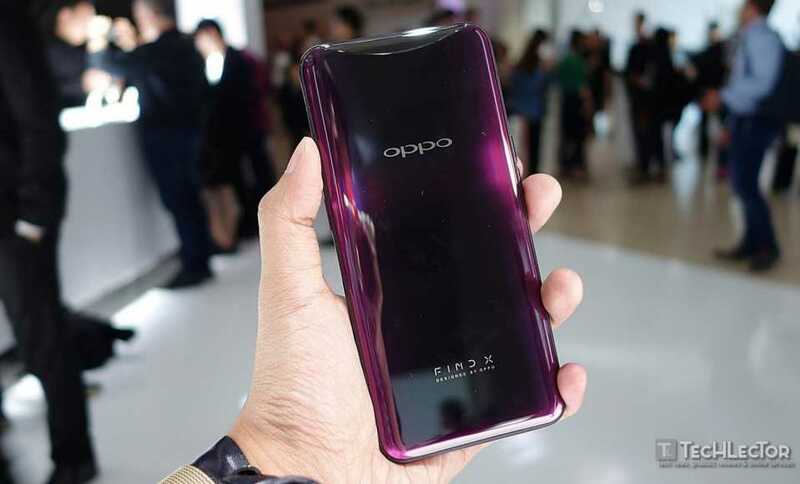 Among the most beautiful and scenographic smartphones without a notch, there is definitely Oppo Find X, a device with an automatic slider powered by an electric motor. In fact, the smartphone has a really nice and clean design, with all the cameras, both front and rear, placed on the slider. The data sheet is top of the range, in fact, we find the Snapdragon 845as a processor, with 8 GB of RAM and 256 GB of internal non-expandable memory. The display is an AMOLED by 6.42 inches with Full HD + resolution and fully occupies the front of the smartphone, without interruption. 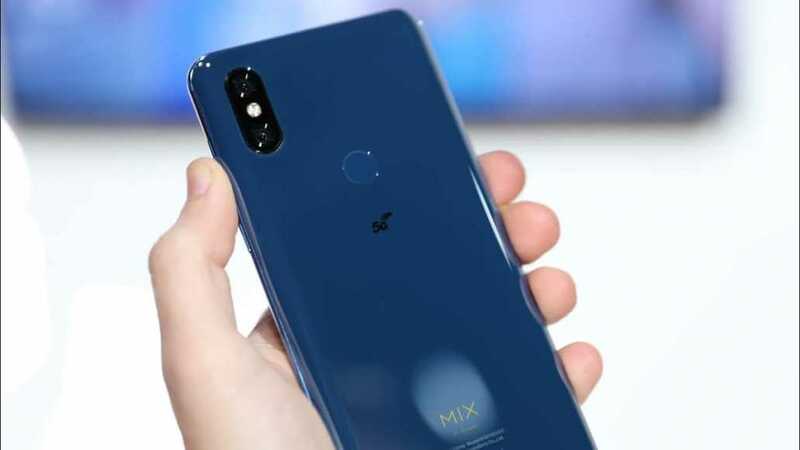 There is no fingerprint sensor, in fact, the device is unlocked only with 3D facial recognition, this means that the slider must be activated at each release to free the front rooms. The battery is 3730 mAh.